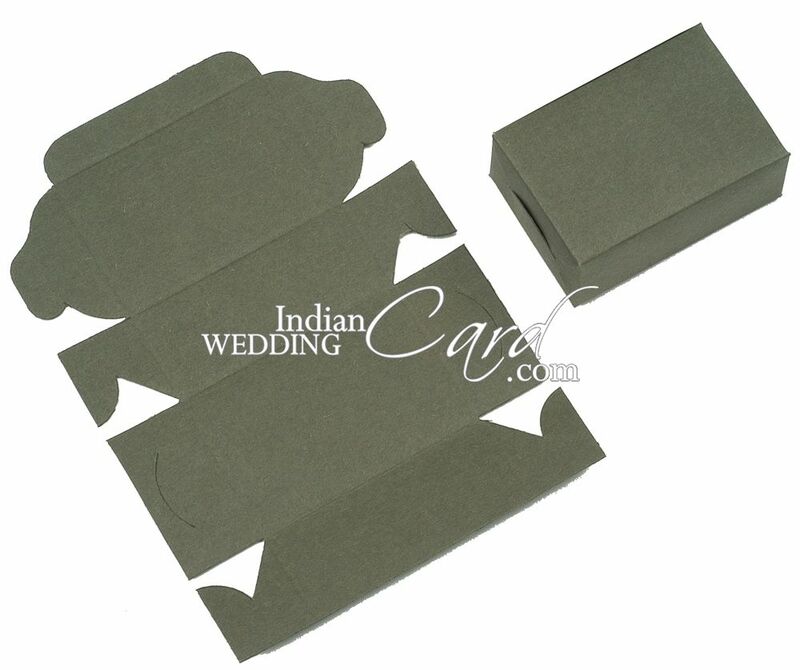 Die cut self-folding sweet/cake/favor box on Imported card stock with single color printing. Customizable to match card color. Easy for packing, transport, folding and self-assembling. Price includes printing cost for personalization of box including printing of names of bride and groom, border, symbol, date, a small message etc. Cake boxes can be made in any color of your chocie. No addtional cost for this.